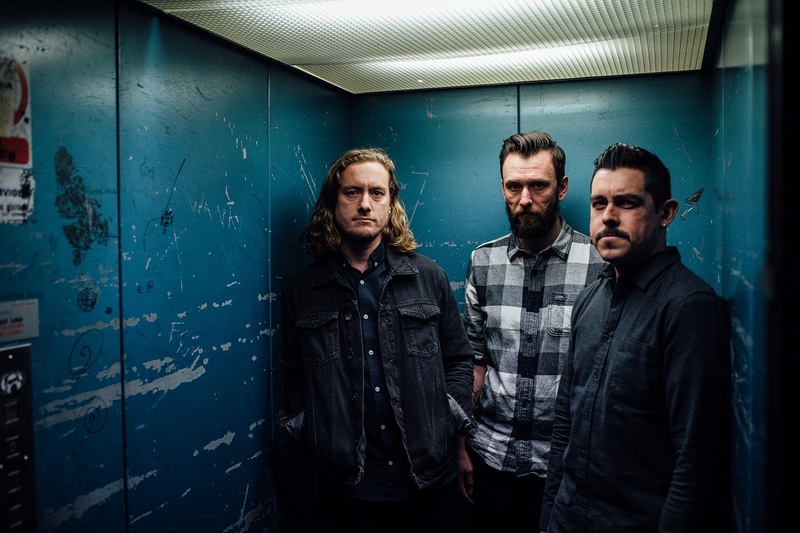 Brighton based progressive alt/math-rock band Poly-Math are pleased to reveal their new double album House of Wisdom | We Are The Devil set for release on 20th April via Lonely Voyage Records. Today the band have released a special live session video of their new single ‘Ink of Scholars | Blood of Tigris’ which was recorded and filmed at the Small Pond Recordings headquarters in Brighton, and perfectly showcases their intense instrumental chops. Heavily influenced by early pioneers of prog like King Crimson and Yes, their sound meshes the more modern sensibilities of bands like The Mars Volta, Battles and Death from Above with elements of heavier progressive bands like Mastodon and Russian Circles, to create a completely unique, densely-layered, off-kilter take on instrumental math-rock. This is a sublimely talented group of musicians who are constantly striving to seek out new levels of complexity in their music, whilst never straying too far from a neatly arranged composition. Their mind-bending music has so far drawn praise in the media from the likes of The Independent, Guitar & Bass, PROG, Revolver, Total Guitar, Modern Drummer and many more. In spring 2017 Boss/Roland chose Poly-Math to advertise the worldwide launch of the new MS-3 (see video links here and here) which massively increased the profile of the band and led to them subsequently being invited to play the 40th anniversary Boss showcase at the House of Vans. Over the years the band have released a number of concept EPs, and last year released their first full-length album, Melencolia; a concept album revolving around the German artist Dürer. The band toured the album across Europe and the UK, performing at festivals such as ArcTanGent, DUNK and Strange Forms among others. Now, in 2018, the band have created their most expansive release to date: a double concept album revolving around Baghdad’s 13th Century Houses of Wisdom, and the Siege of Baghdad in 1258 – which led to their destruction – as well as being widely cited as one of the major causes of the end of the Islamic Golden Age. The two part album was made possible through a crowd funding campaign which included the opportunity for supporters to feature on the album by submitting scripted spoken parts that have been mixed into the final release. The album also saw an expanded roster of musicians including saxophone, organs, and even a small amount of vocals, and is the third to be produced by ASIWYFA engineer, Lee MacMahon, who is in many ways the fourth member of the band and an important contributor in the writing process for every Poly-Math album. Sessions were recorded between Brighton Electric Studios in Brighton, NWFA Studios in Pulborough and Start Together Studios in Belfast. Continuing the band’s visual theme, House Of Wisdom | We Are The Devil is the third release to inspire artwork designed by long-time collaborator Sam Hall. The reversible LP cover for the album features a single scene flipped on its head, and marks some of Hall’s most creative work to date. Poly-Math will again be touring throughout the year and showcasing the new record at festivals in the UK and Europe.